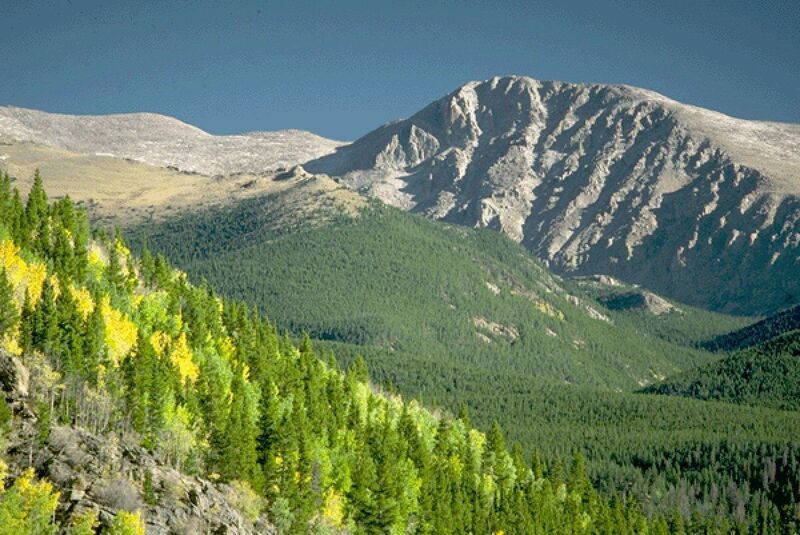 Rocky Mountains National Park is known for its beautiful hiking trails. 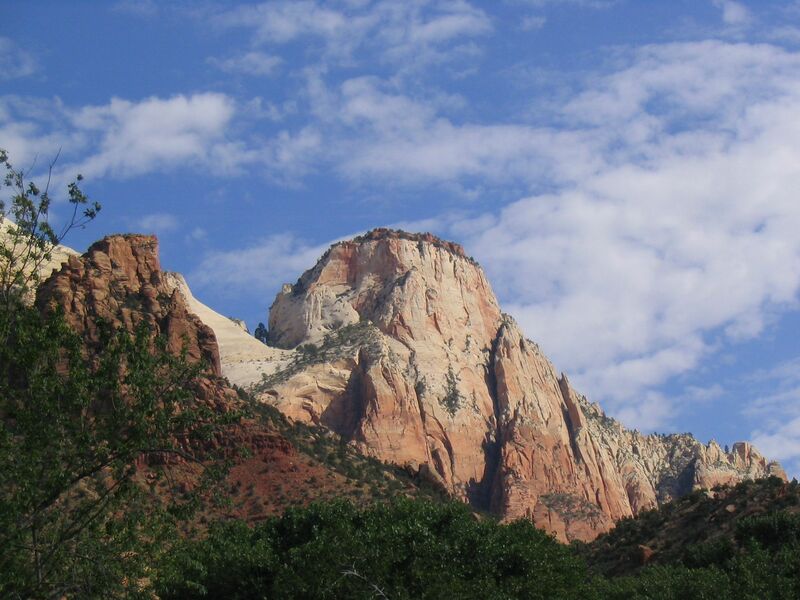 Utah's Zion National Park has layers of multi-colored stones and canyon walls. Mt. Denali, Alaska, seen from the water. The fjords of Glacier Bay National Park, Alaska. Read “Where Families will Go in 2017” for other great family vacation ideas. Everyone agrees that the national parks are a treasury of great escapes from the hustle and bustle of everyday life. 2016 marked the parks system’s 100th anniversary, and this year is an even more special time to visit. Working with an annual budget over $3 billion and a crew of 22,000 to serve more than 300 million visitors, the National Park Service maintains over 400 national parks, monuments, museums, historical sites and more. Under a new “Kids in the Parks” initiative, the government is giving all fourth graders and their families free admission to all the parks all year, and many NPS properties already organize free, ranger-led hikes and nature walks on a regular basis. In keeping with their mission to oversee “special places saved by the American people so that all may experience our heritage,” we know all the NPS sites are worthy of a family vacation. But given the bounty of choices, the Family Travel Forum community has selected 10 that represent some of the best sightseeing, recreation, nature trails, geology, historical landmarks, fishing spots, biking trails and value lodging to appeal to travelers with children of any age. If you don’t like our choices, use the new site FindYourPark.com to plan a trip. Get a discount on your family vacation to your favorite national parks here. The parks are listed in no particular order and each is unique. So grab the kids and start planning a trip to some of the best destinations in the U.S.
1. Great Smoky Mountain National Park—Situated in eastern Tennessee, the Great Smoky Mountains attract more visitors than any other National Park in America. The park is free to enter and is surrounded by family fun in nearby gateway towns such as Gatlinburg and Pigeon Forge. 2. Grand Canyon National Park— America’s second most popular National Park, the biggest and deepest canyon is great for looking, hiking and river-rafting down the Colorado River. After visiting the South Rim, head west where the daring can walk a 4,000-foot glass bridge over the canyon walls. 3. Bryce Canyon and Zion National Parks—Part of the Grand Staircase on the Colorado Plateau, both Bryce Canyon and Zion National Parks carve their way across southern Utah. These two distinctive geologic wonders offer families great hiking trails, bicycling paths and road trips lookouts. 4. Glacier National Park—Just as the name implies, this Montana National Park has 25 active glaciers to see and explore. At one time there were up to 150 glaciers in the area, but most are now lakes that provide great fishing and scenic hiking opportunities at this snow-capped gem. 5. Yellowstone National Park—Perhaps most well known for its geyser, Old Faithful, huge Yellowstone is great for exploring by road, bike or foot. With guided and self-guided tours, a live-in educational center, and an LEED certified visitor’s center, either the Montana or Wyoming entrances lead to special family adventures. 6. Mesa Verde National Park—This archeologically and geologically magnificent park is perfect for families wanting to explore ancient Native American cultures and natural sites. Located in Colorado, it’s an easily accessible place to visit ancient Pueblo cliff dwellings, conquer hiking trails, try whitewater rapids or hop aboard railroad tours. 7. Yosemite National Park—Combining natural beauty with cultural history, Yosemite has a little bit of everything. From hiking through groves of Giant Sequoias and kayaking past waterfalls to exploring Native American and Pioneer history, this northern California park is packed with fun recreation possibilities for the active family. 8. Denali National Park—Discovered over a century ago, this Alaskan National Park drew the likes intrepid explorers — miners, gold-diggers and mountaineers — early on. Today, Denali offers families a wide range of nature activities, as well as a depot along the Alaska Railroad that transports visitors overland to other destinations in the state. 9. Rocky Mountains National Park—This expansive park in northern Colorado is home to a wide range of wildlife including large populations of elk, bighorn sheep and over 270 species of birds. Families base themselves in many gateway towns to enjoy seasonal outdoor and recreational activities year-round in the dry, mild climate of the Rocky Mountains. 10. 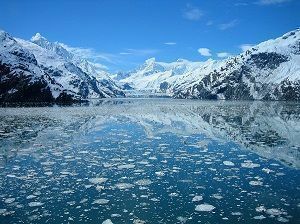 Glacier Bay National Park— Although this National Park can only be reached by sea or air, Glacier Bay is a must-see marine park near Gustavus, Alaska. Perfect for kayaking and whale watching, the ice-lined bay is a scenic destination for family adventurers or a magnificent cruise itinerary for less active, multi-generational trips . For additional information on finding lodging at any of the National Parks listed above, check out FTF’s guide to Reserving Your National Park Stay. How does this impact the amount of national parks slated to be shut down? http://globaltransportation.com – Has anyone heard about a company called Global Transportation? Their website is at http://www.globaltransportation.us – We are looking to do a church trip in Vegas and never heard of this company out of Colorado or specifically Denver.